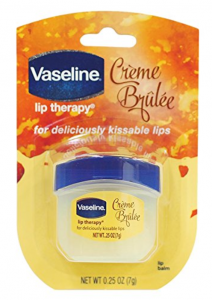 Vaseline Lip Therapy In Creme Brulee Just $1.44 Shipped! Head over to Amazon where you can grab the Vaseline Lip Therapy in Creme Brulee for just $1.44 shipped when you clip the 20% off coupon located under the price and checkout using Subscribe & Save. Keep in mind, Amazon pricing can change at any time! Don’t wait to purchase this deal or it might be gone when you come back!